Located on the main house’s first floor, this large, light-flooded bedroom invites you to enjoy peace. Characterised by a factory-style, it offers a unique, genuine universe. 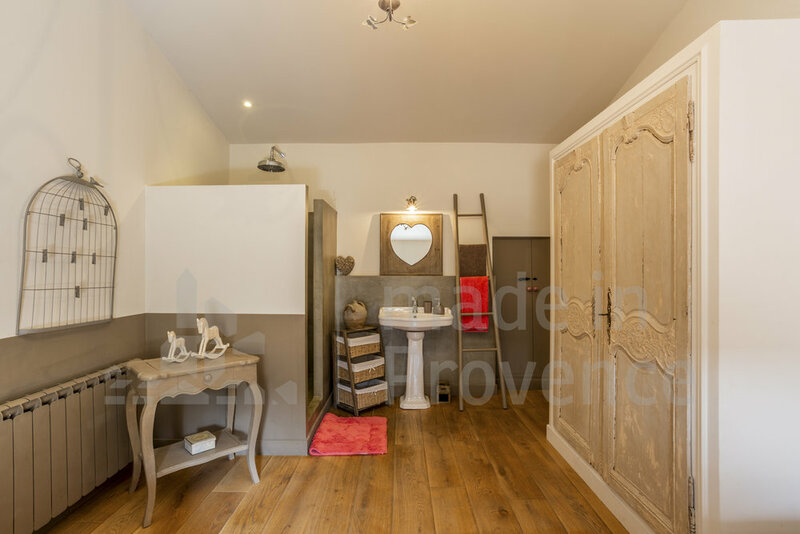 Characterised by a soft, flowery atmosphere, this bedroom includes two 90X190cm beds (which can be converted into a double bed) and their printed Provencal bedspreads. 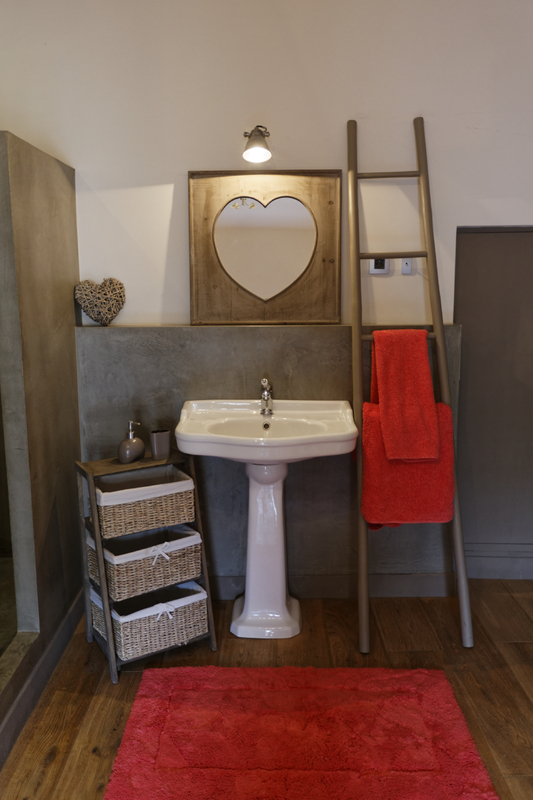 This room features a waxed concrete walk-in shower and a retro-like basin.